This board contains 2 x L6470 dSPIN fully integrated microstepping motor drivers. We have designed this board to take up to 36V with a peak output at 7A. 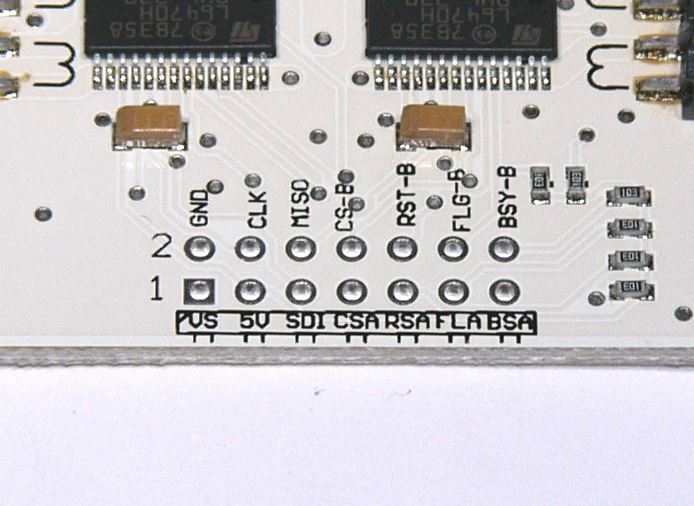 The board runs at a 5V and has 2 inputs for VS either through the small connector at the top or via the header at the bottom. This simplifies systems where you want to design your board to power the controller directly without having to run additional wires. The dSPIN has a SPI interface for programming it. The minimum connections you will need will be to connect power, the 3 SPI pins and the Select pins for each processor. You will also need to connect the Reset pins to ensure that you reset the dSPIN's before you program them. you can wire these two together but note that reseting the device returns it to its default settings. This is a very nice stepper controller and we use it in our own designs for our kiosk customers. 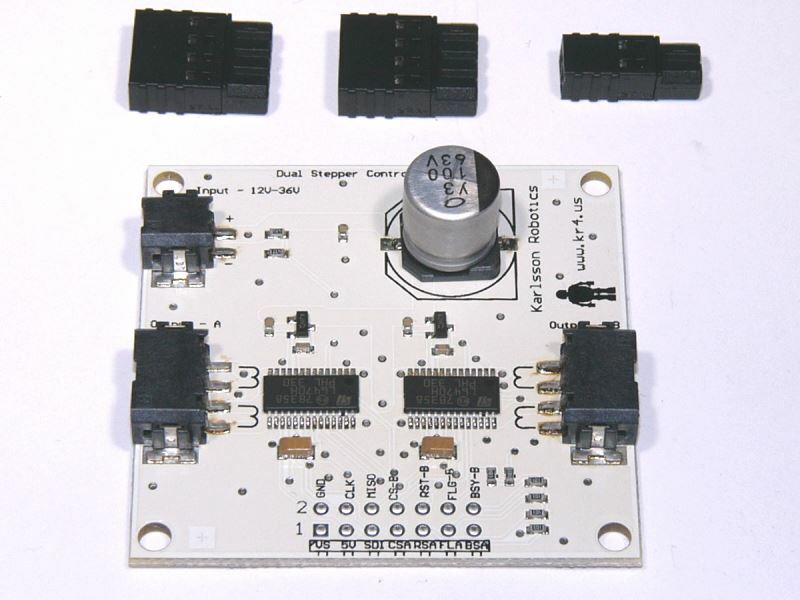 All Stepper motors on our site can be controlled by this controller. The connectors shown above the board are included with the board, they are easy to use as you just press your wire into the back and then connct them to the board. The pitch on the connectors is 2.5mm. Note: We will be posting a tutorial soon with an arduino library for this device - until then you can use any dSPIN library. Microsteps as small as 1/128 of a step. We build this item in-house. If it is out of stock and you place a back-order it will be shipped within 2 days.